Product prices and availability are accurate as of 2019-04-20 15:27:45 EDT and are subject to change. Any price and availability information displayed on http://www.amazon.com/ at the time of purchase will apply to the purchase of this product. 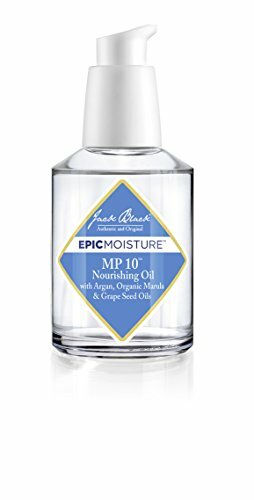 Jack Black MP 10 is a concentrated, quick-penetrating blend of 10 natural oils that infuses skin and hair with intense moisture, antioxidants, essential nutrients, and fatty acids for a healthier appearance. It can be used for facial and body skin care, shaving, and hair care for both men and women. MP 10 provides anti-aging and firming benefits and works to defend the skin, minimize redness, and restore elasticity. It also soothes hair, improves shine, and reduces frizz. 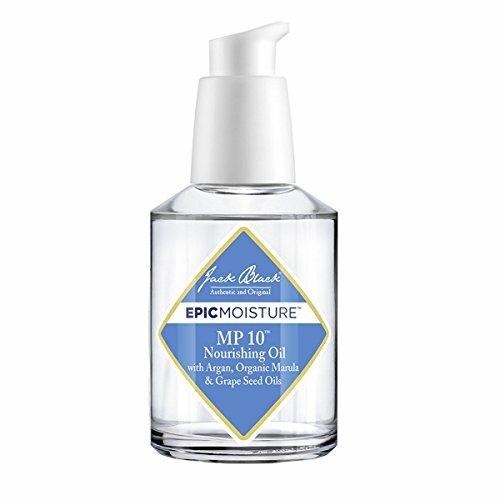 Jack Black MP 10 contains 10 nourishing natural oils including argan oil, which deeply hydrates; moringa seed oil, which delivers firming and anti-aging benefits; marula seed oil and grape seed oil for calming redness; and watermelon seed oil for restoration and nourishment. Additionally, plum seed oil is added for hydration and baobab seed oil is added for rejuvenation and skin repair. Olive fruit oil soothes irritation, jojoba oil moisturizes and heals, and rice bran oil works as a powerful antioxidant to protect skin from future damage. MP 10 can be used for multiple applications. For use in shaving, it provides exceptional moisturization and soothing benefits when used as a pre-shave preparation or as a stand-alone shaving oil. 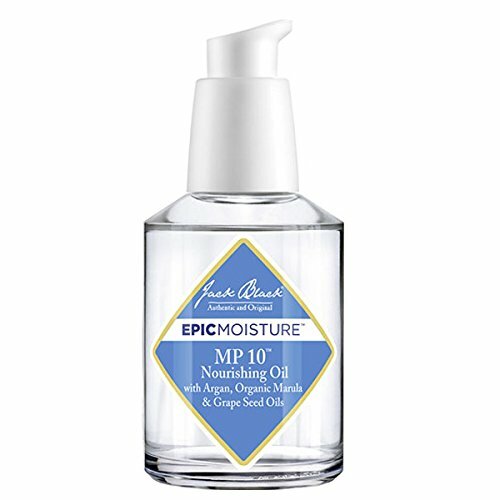 Men can use MP 10 as a leave-on conditioner and grooming aid for facial hair, including beards, mustaches, or goatees. For skin, the lightweight but concentrated formula penetrates deeply to soothe skin and help relieve irritation, dryness, and flakiness. This versatile, nourishing treatment can be used as a conditioning, styling, or finishing tool for hair use. All Jack Black products are carefully formulated with the finest ingredients to be highly effective, yet easy to use. Almost all of the products in our line are vegan, free of artificial colorants, safe for sensitive skin, and made in the USA.